Samsung produces a lot of quirky and unusual phones, very few of which ever find their way to the West. The 90’s inspired Samsung Galaxy Folder 2 is a perfect example of one of these. This clamshell handset revives a form-factor that, let’s be honest, most of us thought had died a long time ago. 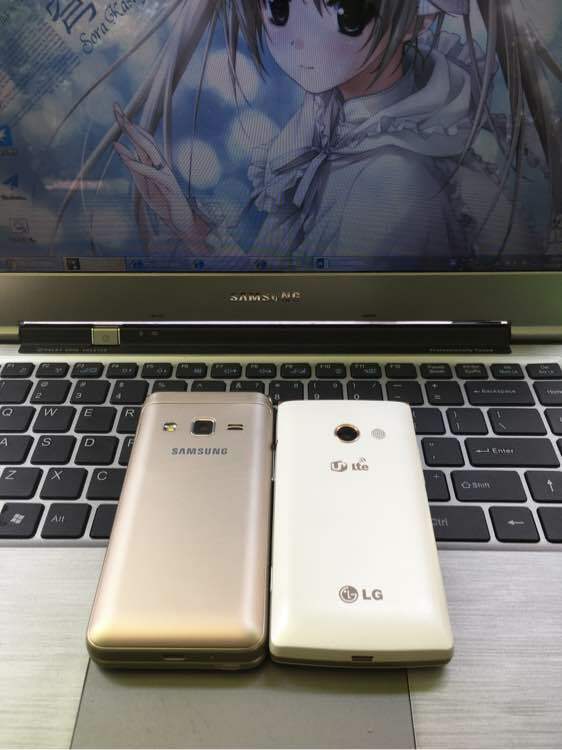 Now, some leaked photos of it have found their way to esteemed Android blog Playfuldroid. This is what the weirdest phone of 2016 looks like. 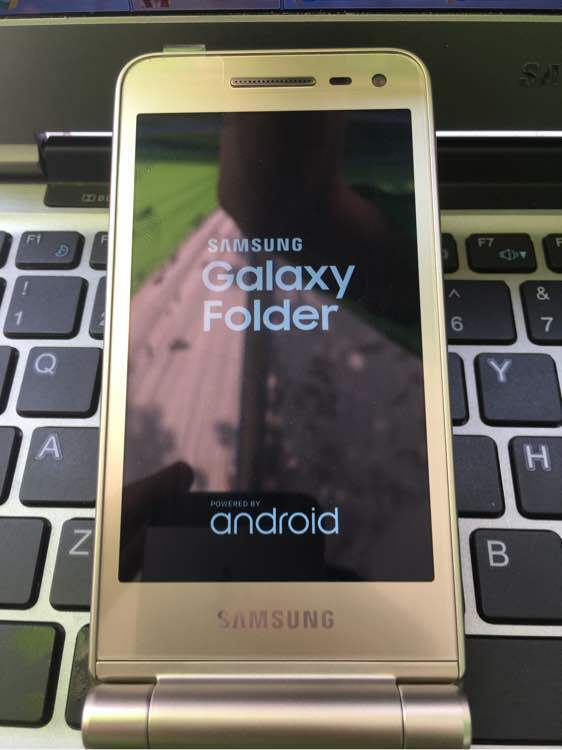 For whatever reason, the photographer didn’t capture the lower half of the device, but if the Samsung Galaxy Folder 1 is anything to go by, it’ll be a standard T9 number-pad and some navigation keys. The leak also confirms what we’ve previously seen about this phone. In the leaked snaps, you can see the phone’s massive hinge, which protrudes awkwardly. 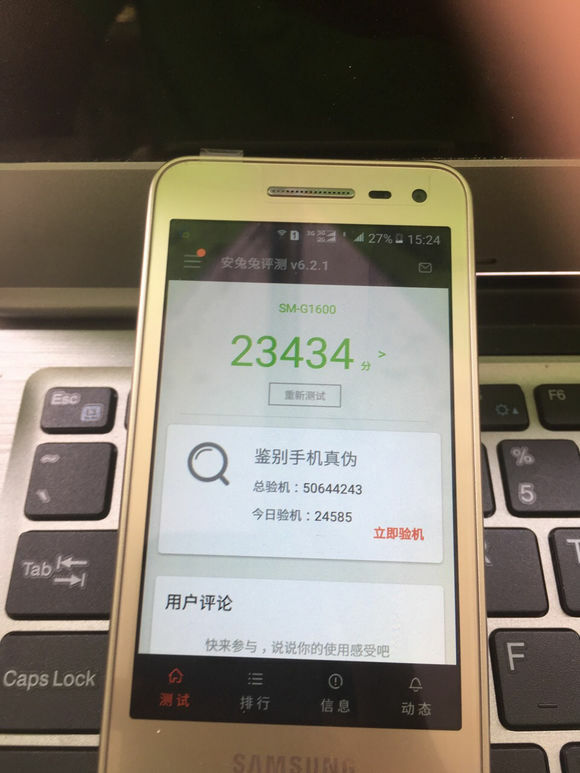 The photos also show that it has an AnTuTu score of 23,434. Compare that to last year’s Samsung Galaxy 6 Edge, which has a score of 64,474, and you’ll see that we’re dealing with a decidedly low-end phone. Powering the handset is a quad-core Snapdragon 425 SoC, clocked at 1.4GHz; an Adreno 308 GPU; and 2GB of RAM. Its 3.8-inch screen is unchanged from the previous Galaxy Folder device, and has an uninspiring WVGA 480 x 800 resolution. Storage is a respectable 16GB, which is expandable with MicroSD memory cards. Unsurprisingly, it will support two SIM cards at once. In terms of camera, the leaks suggest that it’ll have an 8MP front-shooter, and a 5MP one for taking selfies. 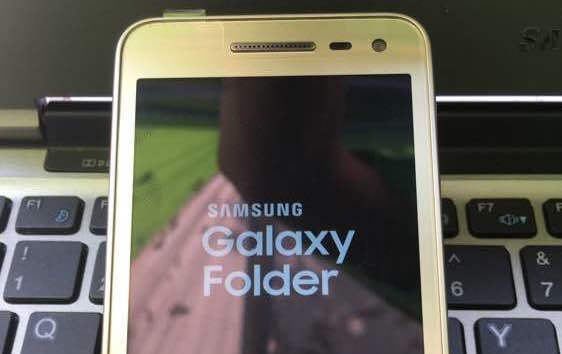 The original Galaxy Folder 1 was only released in South Korea, but this will likely be sold in China and the United States, as Samsung has gone to the effort of getting it certified by TENAA and the FCC. With an expected price tag of $250, it’s hard to imagine who will buy it, except for those struck with a bad case of nostalgia.